Hi!  I’m Maria, in charge of foreign affairs at Koozyt. Our CEO has posted a New Year’s greeting along with this year’s resolution and although it’s a bit belated we present it to you here in English. Our CEO has a way with words and sometimes it’s not easy to translate word for word, but I hope you get the gist of his message. This year, we will be sharing more of our activities in English for our friends overseas, so please stay tuned! Last year we relocated our office to Shiba in Minato-ku, Tokyo to rejuvenate and start a new chapter in our journey as Koozyt. We have always stressed the importance of applying technology in real word space, but in this day and age of wearable technology and IoT, we have been extending our horizons to further explore possibilities in Human Augmentation, collaborative research projects with companies and research organizations on Interaction-related topics, creating PoCs(Proof of Concepts), and focusing on consultation and upstream system design services. This year we will continue to extend our horizons so that we can grow our business to technology licensing and consulting in the real world space x IoT/wearable domain with fellow business partners, other companies, research organizations to tackle challenges presented to us in these fast changing times, to ultimately contribute to society by enriching lifestyles and human emotions. I would like to share some of the activities we started working on last year that we will continue to develop. 1. In ISID Innovation Laboratory, a Sports & Life Technology Lab was launched to pursue new concepts for a sensable city for 2020 and beyond. Koozyt is one of the collaborative partners and our co-founder Dr. Jun Rekimoto (Professor at University of Tokyo/ Deputy Director of Sony CSL) has been appointed senior research fellow to exploit IT in the sensable city through sports (Related article: PC Watch記事 (in Japanese)). 2. We are continuously working on collaborative research projects with companies and universities based on the “Happiness Counter” research started at Sony CSL and Rekimoto Lab. We have already showcased this technology in commercial venues, such as shopping malls, as “Emi-tame” (Smile Bank) for sales promotion, but the original concept was designed to enhance communication with smiles for the elderly as well as creative workshops and I believe these application scenarios will become more and more important. As the saying in Japanese goes; “Good fortune and happiness will come to the home of those who smile”. 3. 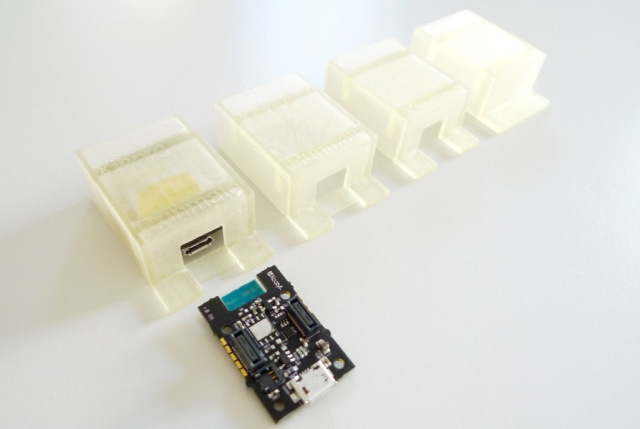 We have started developing a sports sensor board called “Q.board”. “Q.board” has been designed to control robotic prosthetics being developed by Ken Endo (Sony CSL/Xiborg) as well as support for running and walking. As a technology parnter of Xiborg, we are fully backing up Ken Endo’s research on augmenting human physical capabilities by prostheses and orthoses. We will continue to work on collaborative projects and develop “Q.board” (Related article: 「GUGEN2014にて、Q.boardを搭載したリハビリアシスト装置「Raplus」を出展中！」(in Japanese)). 4. 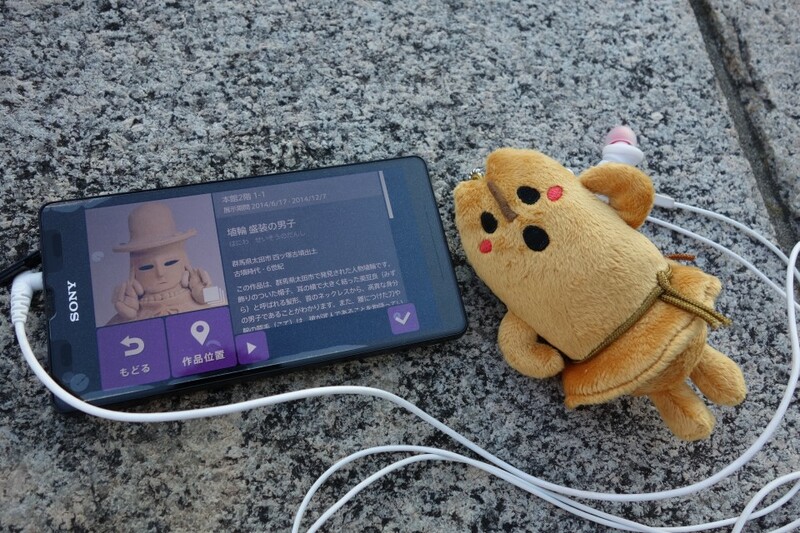 I’d also like to share some of our ongoing and established projects.“Tohaku Navi”, the official smartphone guide app for the Tokyo National Museum has hit its 5th year this January since its first release. “Tohaku Navi” has continuously evolved and last year, the “Today’s Selection” feature that lets you browse images and listen to audio guides of 14 objects recommended by the curators was added. 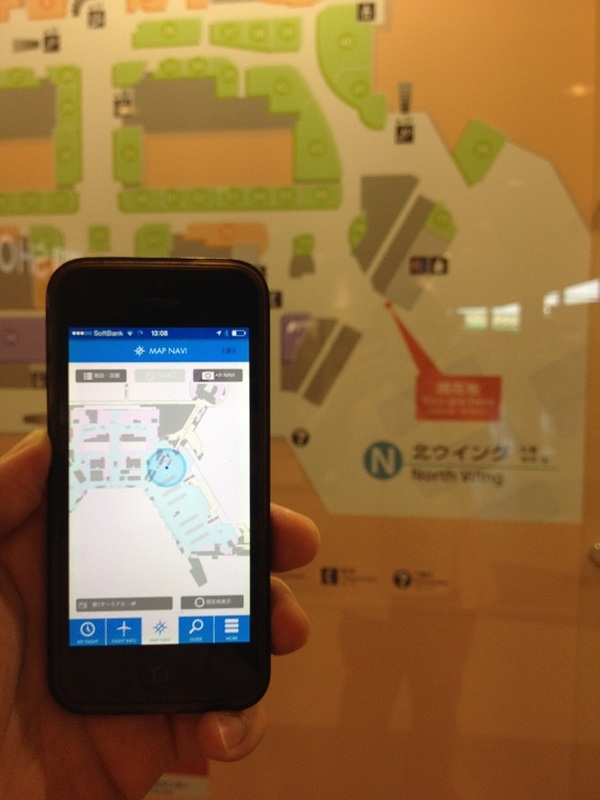 “NRT_Airport Navi” is the official app for Narita International Airport which we have supported continuously since its release in July 2012. These are both signature venues that represent Japan and offer ideal opportunities to illustrate how IT can be used for Omotenashi (Japanese hospitality). We are constantly facing challenges when we try to use IT in real world space, such as power constraints and infrastructure maintenance issues. 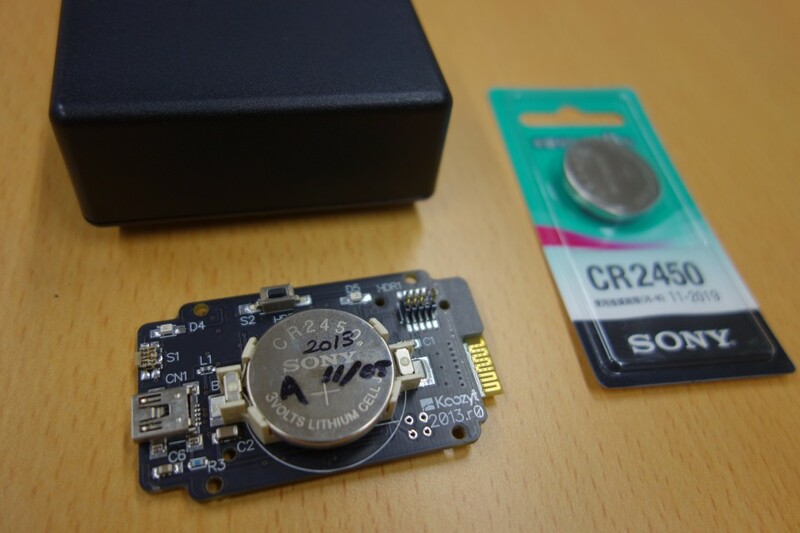 Dr. Shio has been experimenting with Wi-Fi sensors for location tracking and it all runs on mobile batteries. Please watch out for more on Wi-Fi sensing this year as we refine it to incorporate it in our product line. 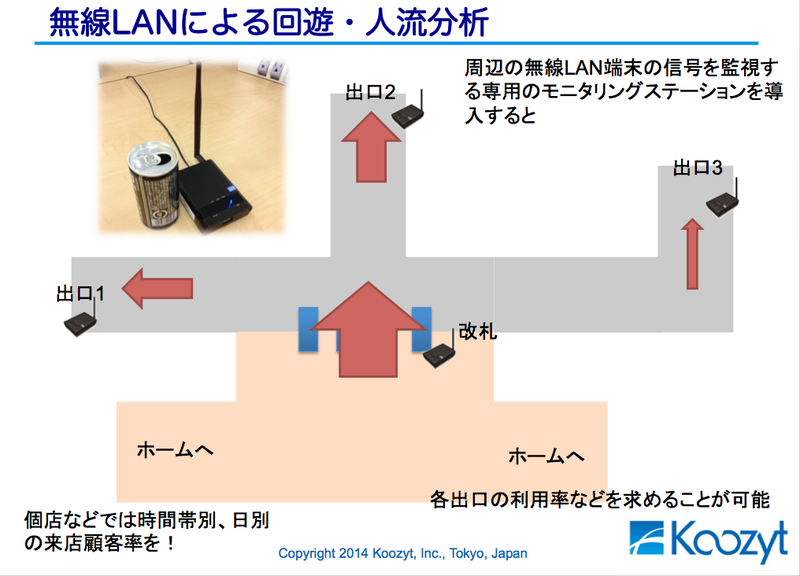 Our BLE beacons used for indoor positioning in “Tohaku Navi” at the Tokyo National Museum operated successfully for one whole year on just a single button cell (Related article: 「Wi-Fiで人流は見えるか?」「年に一度のビーコン電池交換＠東京国立博物館」(in Japanese)). This year we will strive to add more interesting pages to our new chapter with help from our business partners to tackle social challenges. By 2020, we hope to say with pride to our friends overseas that we continue to bridge the gap between the virtual [Kuu] and real [Jitsu] by designing new relationships between people and things in the age of IoT, wearable technology, and Human Augmentation. Best wishes for the new year to everyone, and I hope it will be a fantastic year.